Please find below links to a selection of articles related to EASO’s activities, according to their year of publication. For videos, click here. EU Observer: Over 60,000 people claimed asylum in the EU, Norway and Switzerland in September 2017, compared to some 125,000 the same month last year, the European Asylum Support Office said Friday, 3 November 2017. BBC.co.uk: EASO says 62 of its officers will arrive on the Greek island of Lesbos today to begin 'admissibility checks' for asylum seekers. 7 April 2016. The Economist.com: For the first time a private-security firm has been contracted to guard the hotspots, backing up the Greek police. “We have had a number of riots, staff have had to be evacuated quickly. So, we felt we needed additional security,” said Jean-Pierre Schembri, EASO’s spokesperson, 25 June 2015. Reuters.com: Nearly 96,000 refugee and migrant children who traveled to Europe alone in 2015 sought asylum in the European Union, almost four times as many as the previous year said the European Asylum Support Office (EASO) said in its annual report for 2015, 8 July 2016. ASSER Institute - Centre for International and European Law, CLEER working papers, Dr. Robert K. Visser: 'Two realities - striking the balance', July 2014. Jean-Claude Juncker’s Political Guidelines for the next European Commission: ‘A New Start for Europe: My Agenda for Jobs, Growth, Fairness and Democratic Change’, 15 July 2014. BBC: ‘Sharp rise in Ukrainians seeking EU asylum - EASO data’, 7 July 2014. EurActiv: ‘Asylum seekers up by 30% in 2013, EU says’, 7 July 2014. Cyprus News Digest: ‘Interview with EASO’s Executive Director about the Special Support Plan to Cyprus’, 19 June 2014. New Europe: ‘EU signs agreement with Switzerland on the modalities of its participation in EASO’, 11 June 2014. Ansa: ‘Migration: ‘EU project starts with Tunisia, Jordan, Morocco’, 15 May 2014. Reuters: ‘Bulgaria: UNHCR says asylum conditions improved, warns against transfer of vulnerable people’, 15 April 2014. Prompt Media: ‘The head of the European Asylum Support visit to Bucharest’, 7 March 2014 (translation). Agencia EFE: ‘The Twenty-address migration pressure after the tragedy of Ceuta’, 2 March 2014 (translation). Times of Malta: 'EU did not understand PM's migration message', 8 September 2013. Euractiv: 'EU experiences surge of asylum-seekers from Syria', 10 July 2013. Euro News: 'EU asylum applications up in 2012, new report says', 8 July 2013. RTT News: 'EU Asylum Support Office, Rights Agency Sign Working Arrangement', 12 June 2013. Di-ve: 'EASO and Italy sign Special Support Plan', 4 June 2013. 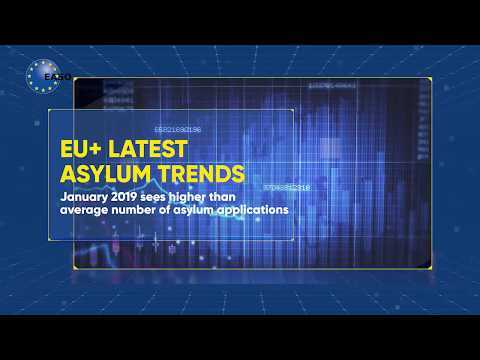 European Commission Audiovisual Services: ‘Greek Action Plan on Asylum and Migration Management: – signing ceremony between Nikolaos DENDIAS, Minister of Public Order and Citizen Protection and representatives of E.A.S.O. (European Asylum Support Office)‘, 7 March 2013. Hearing in the European Parliament, led by MEP Timothy Kirkhope: ‘My Asylum and Migration Hearing', 7 March 2013. Please note this is only a selection. Also note that EASO is not responsible for the content. Malta Star: ‘Frontex and European Asylum Support Office sign working arrangement’, 26 September 2012. Malta Today: ‘Prime Minister inaugurates European Asylum Support Office’, 7 September 2012. Malta Star: ‘First EASO annual report highlights rising migration mobility’, 20 July 2012. EU Observer: ‘Commission probes Italy asylum abuse allegations’, 20 July 2012. European Voice: ‘Migration Manager’, 12 July 2012. Euractiv: ‘Most asylum seekers in EU come from Afghanistan’, 11 July 2012. The Malta Independent: ‘EASO to have central role in Malta’s pilot project evaluation’, 11 March 2012. The Malta Independent: ‘EASO training additional asylum officers’, 10 February 2012. Wort.lu: ‘EU support to manage asylum seekers’, 27 January 2012. The Malta Independent: ‘European Asylum Support Office publishes 2012 Work Programme’, 12 January 2012. Please note this is only a selection. More than 180 articles have been published on EASO in 2012. Also note that EASO is not responsible for the content. UNHCR: ‘EASO Consultative Forum with Civil Society’, 15 November 2011. ECRE: ‘ECRE Interview with Dr. Robert Visser’, PDF, 23 September 2011. The Times of Malta: ‘’Major Step’ towards common approach’, 20 June 2011. The Times of Malta: ‘New EASO director pledges to promote relocation of refugees’, 19 June 2011. Malta Today: ‘European Asylum Support Office (EASO) signs seat agreement with Malta’, 24 May 2011. Please note this is only a selection. More than 150 articles have been published on EASO in 2011. Also note that EASO is not responsible for the content. The Times of Malta: ‘Asylum office chief impresses MEPs’, 27 December 2010. Malta Today: ‘European Asylum Support Office elects executive director’, 26 November 2010. The Times of Malta: ‘Brussels sets ball rolling for first EU agency in Malta’, 3 March 2010. Please note this is only a selection. More than 30 articles have been published on EASO in 2010. Also note that EASO is not responsible for the content. The Times of Malta: ‘Malta wins bid to host EU Asylum Office’, 30 November 2009. The Times of Malta: ‘Is it voluntary or compulsory?’, 14 October 2009. The Times of Malta: ‘EU plans asylum agency’, 19 February 2009. Please note this is only a selection. More than 10 articles have been published on EASO in 2009. Also note that EASO is not responsible for the content.